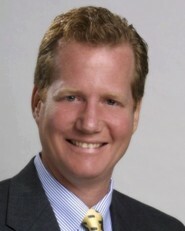 Tim Ryan has been practicing law in South Florida since September 1981. He is a member of the Florida Bar Association, Federal District Court, Southern District of Florida, Broward County Bar Association and the International Legal Fraternity of Phi Delta Phi. Tim Ryan has an AV® Rating by the Martindale-Hubbell® Law Directory, which is its highest rating for legal ability & ethical standards. Mr. Ryan’s practice focuses on municipal and governmental law, estate planning and probate, personal injury and civil litigation. Mr. Ryan has served as Special Counsel for the City of Dania Beach since 1986. Mr. Ryan is a graduate of the University of Florida College of Business Administration in 1978 with high honors and a graduate of University of Florida College of Law in 1981. Mr. Ryan and his wife, Debra Ryan, live in Dania Beach with their four children. Tim Ryan was elected and served as a member of the Florida House of Representatives from 1998 through 2006. Tim Ryan was elected to the Broward County Board of County Commissioners in November 2012 and currently serves as the Broward County Vice-Mayor.